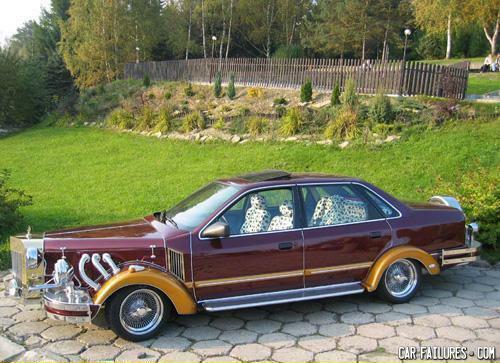 it looks a little Stutz-pid. Chip Foose, Eat YOUR Heart out!
. . . i wish it would go back in time. CHIDDY CHIDDY BANG BANG!....THA HOOD VERSION!!! Looks like a car Cruella De Ville would drive!! Thanks MTV for pimping my ride! this is CLEARLY not from "THA HOOD"